Advanced PC Optimizer is a complete utility that will allow you to make your computer work just like the very first day or even better. It's a collection of tools that will optimize and clean your PC, with which you will be able to improve its performance. As time goes by, and you use your computer, it will start filling up with useless files, the hard drives will be fragmented, and all this can cause it to work slower and result in problems. 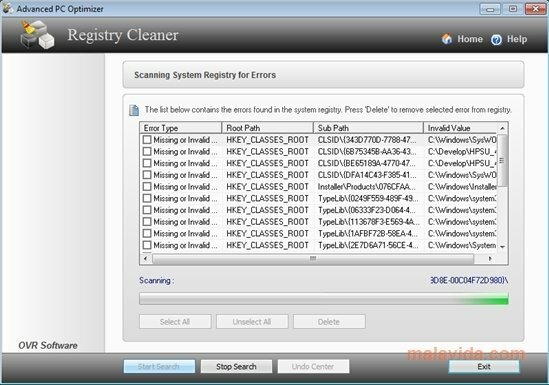 - System cleaner: you will find utilities to analyze the system and eliminate useless files, duplicate any invalid registry entries, and even optimize the system configuration so that your Internet connection speed increases. - Security and privacy: you will be able to manage the applications that are launched with the Windows StartUp, and eliminate any trail that you may have left behind while browsing over the network. 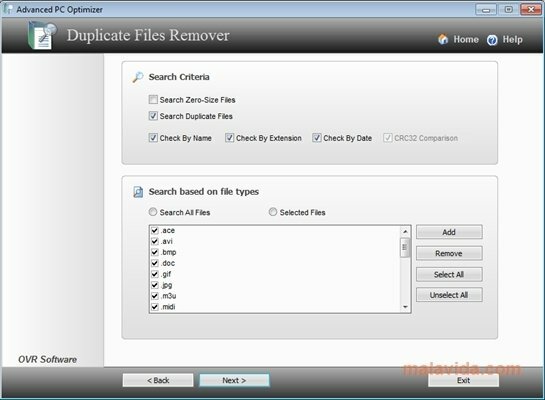 - Files and folders: allows you to split and merge files to be able to send them by email, for example, or to recover deleted files. - System tools: includes a Registry editor and a recovery center, to restore the system. 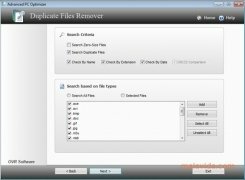 Download Advanced PC Optimizer and start cleaning your computer.